Lenovo is one of the world’s best smartphone and PC Company. They are also in the field of manufacturing tablets. Now it seems that they are entering the new business area of PC-on-a-stick along with a new tiny computer. The device is known as IdeaCentre Stick 300.The new device from Lenovo looks similar to Intel Compute Stick. But the difference is that Lenovo’s stick is actually cheaper than that of Intel Compute Stick. 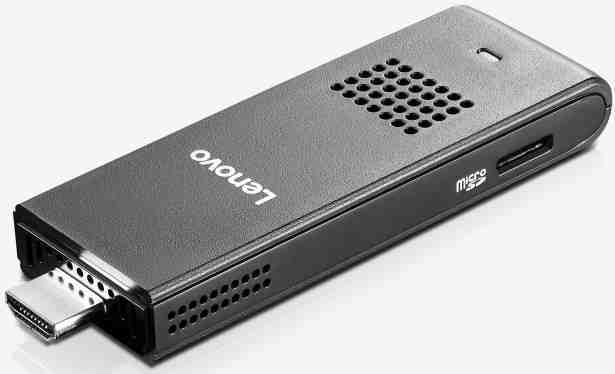 The specifications of Lenovo’s IdeaCentre Stick 300 are similar to that of Intel Compute Stick. They both are powered by Intel Atom Z3735F Bay Trail processor. The processor is supported by a RAM of 2GB along with an internal storage capacity of 32GB. The device has got WiFi connectivity supported by the bandwidth of 802.11b/g/n. Again it can be connected with other devices with the help of Bluetooth of version 4.0. The device has got an HDMI connector along with one micro USB port of 2.0. The USB port is mainly used for powering the device. Apart from this it also has another full sized USB port. The device is also packed with SD card reader. Lenovo’s new PC stick is packed with the Windows 8.1 along with the support of Bing Software. The same can be updated to Windows 10 for free when Microsoft releases it in July 29th. 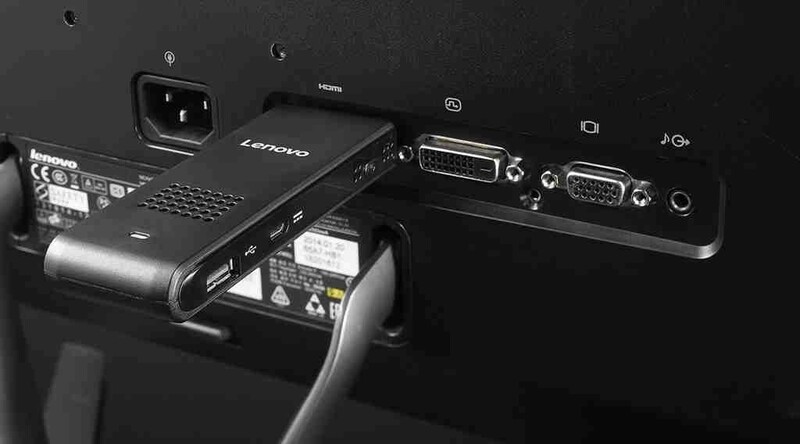 After that Lenovo will be selling the PC sticks with pre-installed version of Windows 10. Another exciting thing is that, the device is introduced with a free 3 months trial of Microsoft Office 365. What you have to do with IdeaCentre Stick 300? The Lenovo PC stick comes with dimensions of 3.9*1.5*0.6 inches. Just like other PC sticks they are intended to convert any attractive display into a well-equipped Windows PC. All you have to do is to plug the HDMI port to your PC. Then you have to connect the device to power source. Then you have to plug in a USB or Bluetooth Keyboard and mouse, and then you can enjoy whatever you have to. You can browse through internet, then you can watch internet video or play casual games just by sitting on your couch. With the help of this simple PC stick you can assemble a small and cheap PC for your kids, or you can simply make a signage system of your own or even a portable PC which can have in your pocket and carry it wherever you want. Lenovo start shipping of IdeaCentre Stick 300 by the month of July. They have tagged the price at $129 which is almost $20 less than that of Intel Compute Stick.